This mod aims to fill a few gaps in vanilla Minecraft by adding corn, integrated in a way that makes gameplay smooth and unchanged from the vanilla style. I'm not much for writing but stay with me! I'll keep it short and simple. Corn kernels can be obtained from breaking grass at a slightly lower chance than seeds. Ears of corn can be crafted into more kernels or cooked to produce a food meant to be comparable to a vegetarian counterpart to steak. Corn fields also generate in villages and kernels are valid chicken tempting items! warning: if you craft it with any dies or effects, they will be lost. Due to numerous issues with harvesting mods, Versions 2.3.5+ now include a config option for easy right click harvesting! And that's it, I hope you enjoy! Please leave any feedback or bugs you may have, especially for balance/ tweaking numbers. 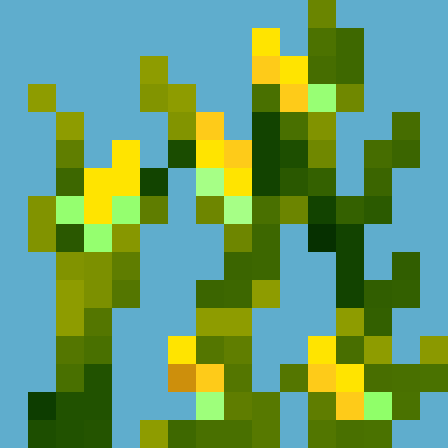 •Corn adds a new plant type, denseCrop, which has 3x3 rows of quads instead of 2x2. 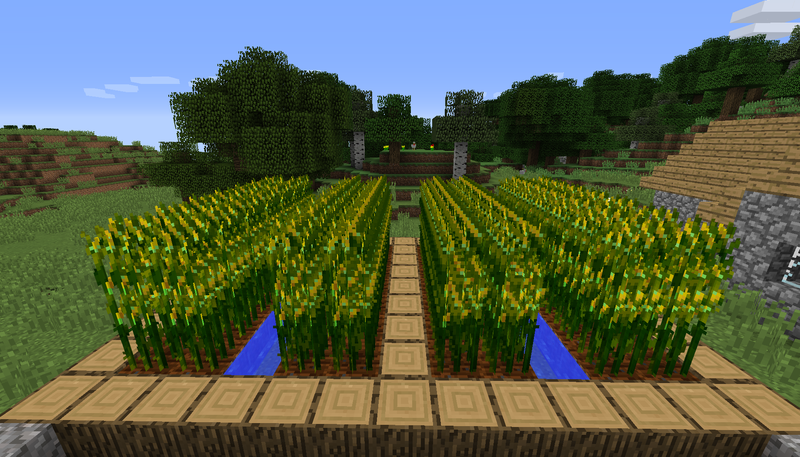 •Fully grown corn slows down the player by 65%, try making a corn maze! •Crops check twice when harvested (once per top two blocks) and have a 60% chance of dropping 2 ears OR a 90% of dropping 1. This means a small chance of getting nothing with a maximum yield of 4. •Corn doesn't have any +- system for growth like wheat does. Place anyway you like. •Chicken chowder can also be crafted with a bowl of corn chowder and a cooked chicken. Analyzing the kernel.json recipe file seems like you put count in the wrong place, outside the result object. So when you put a cob on crafting table you only get a single seed. And a related question: Can you raise the Cob > seeds count to 9? I mean, in real life maize cobs gives a lot of seeds, limiting that for 1 or 2 is frustrating. Yes but also in real life all of the seeds planted don't germinate, and more than one plant takes up a square meter. Corn also drops multiple cobs. I don't want a situation where you can grow ten plants from one seed instantly. 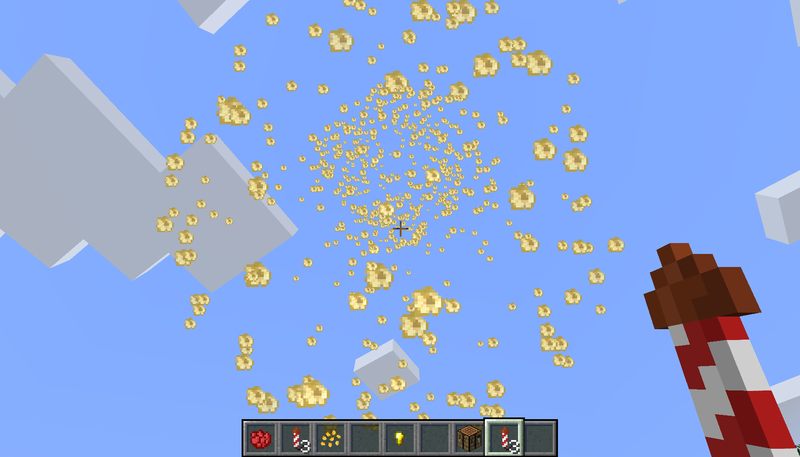 Ok, i currently using 'jared's black magic mod' to tweak the count, and (if you will) in 1.13 i will use datapcks. Thanks for the attention! Error: net.minecraftforge.fml.common.LoaderExceptionModCrash: Caught exception from Simple Corn (simplecorn)"
Corns are growing way too fast! Сonfig file VALUE_GROWTH_CHANCE does not give a result. Hey! My Corns are growing way too fast! It is possible to slow them down? Location: Norte do Brasil, Pará. My name is Daniel, I live in Brazil and I would like to know if you do not want a .lang file(pt_br) for your mod. I like to play the mods in minecraft all in my language, even though it's a very big job. Anything is just send me an email at dnlgtpk@gmail.com. If my English is bad, that's why I used google translator. Yes, If you like to translate mods, I will gladly include it! Is possible to tweak the time for corn fully grow (for me is too fast relative to vanilla plants) and the ammount of seeds each raw cob gives in crafting? I put my VALUE_GROWTH_CHANCE to 16 and the growth time almost not changed.